Finding Cannon Ball’s Trail: The Centennial Ride Begins! So an idea was born: His roll would take him the 3,300 miles or so from San Diego to New York City. On May 3, 1914, after two years of training, Baker took off from downtown San Diego. Some 11 days, plus 11 hours, later he had accomplished his “feat” – shattering all existing records for transcontinental travel as he sped into NYC. His feat earned him the nickname “Cannon Ball”, after an unstoppable express train of the day, and it stuck with him the rest of his storied career of more than 140 speed records. 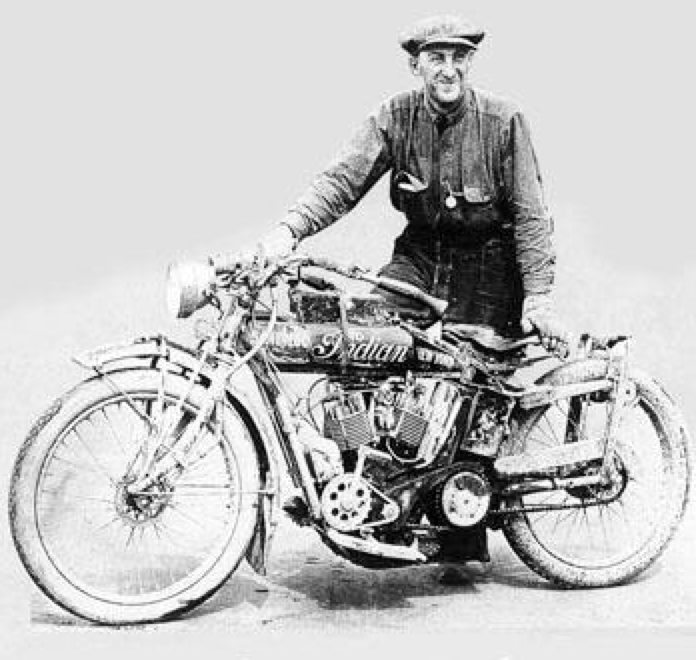 Exactly 100 years later, at 9 a.m. on May 3, 2014, a group of 75 motorcyclists set out from San Diego to not only commemorate Cannon Ball’s epic ride, but also to try and figure which way he went. “We know generally what his route was,” said Don Emde, the motorcyclist and historian who organized the ride. “But we don’t know exactly.” Hence, the official name of the commemorative ride was “Finding Cannon Ball’s Trail”. 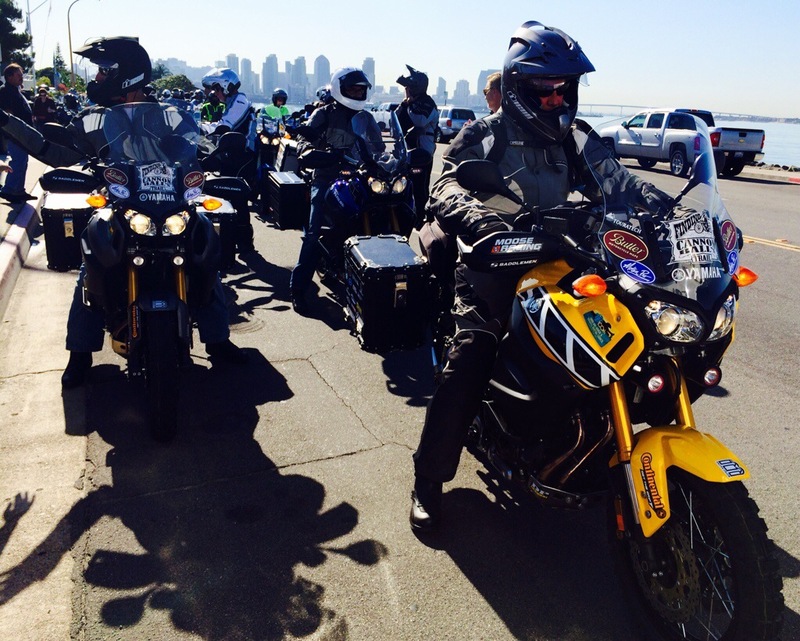 The first day Baker rode from San Diego to Yuma, which is about 170 highway miles today. But back then, it was at least 200. Maybe much more, with all the inhospitable terrain he had to contend with. Baker’s first day on the road may have been his most grueling. He rode through the Cottonwood and Laguna mountains which soar to about 4,000 feet east of San Diego, and then down a steep pass into the Imperial Valley. At a point called Coyote Wells, he was about 250 feet below sea level – and it was hot, dry, dusty and dangerous going. He was generally following the route we know today as old U.S. 80; back then it was a rocky coach road used by the famed Butterfield Stage Lines. With only a one-gallon canteen of water with him, he had to ration his fluids across the 100-plus degree desert. He plowed through axle-deep silt and sand. He crossed the treacherous Algodones Sand Dunes, chased by a sandstorm. The going got so tough finally, he rode on the Southern Pacific train tracks for the final 65 miles into Yuma. He spent a restless night there, knowing that even worse terrain awaited him the next day, on his scheduled ride to Mesa, Arizona.